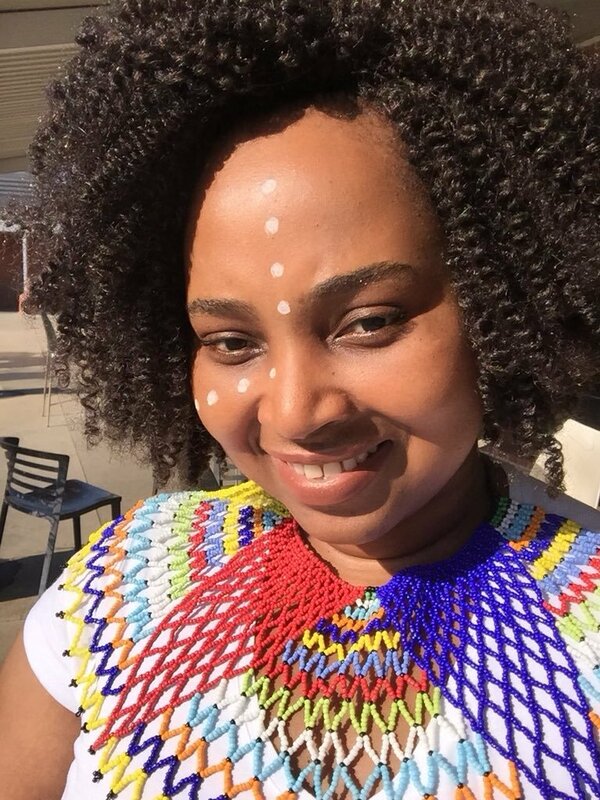 Chulayo Mthembu is a mother of two based in Durban, South Africa. Her son, Agape, has autism and since his diagnosis, she has championed autism awareness and disability inclusion in her community and online (if you don’t already, follow @ChulayoM on Twitter!) In this profile, learn more about Chulayo and her initiative, Tshedza On Autism. What was the journey of your son's autism diagnosis? What were the greatest challenges you faced along the way? So when he was about to turn 3 we took him to his pediatrician and she asked us questions about his development and his health. For most of the milestones questions asked, we said, “No, he doesn’t do that.” We were referred to a Pediatric Neurosurgeon, for further tests to be done. During that time we were waiting for the appointment date, I researched immensely about this doctor we were referred to, and saw he dealt with children development conditions and autism was his specialty. Then my research about autism began, and every sign mentioned I said, “But this is how Agape behaves. It’s like they are talking about him.” What I didn’t comprehend was how difficult and expensive it would be to get him a school in order for him to get the early intervention he needed, which would include speech and occupational therapists. At the time we started to look for a school for him, he was not potty trained, he was non-verbal, and he didn’t have any communication skills. I learnt to fight for him; inside I was breaking and told myself I would not stop until he got to a school come the following year. I told myself that he will get education and the care that he needed. I learnt very quickly to make calls and hold back tears at every NO we got. He is doing so great in school now, doing Grade 1, and meeting all his targets and slowly catching up with his peers in terms of development and speech. What resources and support systems have you found to be most impactful for your family? My helper has been the most amazing person; I don’t think we would have survived if she wasn’t around. She has a way of calming everything, and he understands Agape so much. We also rely mainly on the special needs center he is at; they provide ongoing support. They have been a part of our family for the past 3 years. What is the autism community like in Durban — both strengths and weaknesses? There is an organisation that holds monthly meetings for parents, doctors, and facilitators which is good for sharing information and ideas. Besides that group autism only exists in small rooms and no one wants to visit them. What inspired you to create Tshedza On Autism and what has been the response to your advocacy efforts? As a child I was raised by the principles of “Ubuntu – I am because we are” so this has shaped me to be the woman I am today. That’s where my inspiration comes from; it comes from a place that says I will not watch another parent trying to figure out autism on their own. I can’t sit and watch kids not getting the help they need and not getting respect, because of a medical condition. This is not only about me, I am just using my voice for those who need it the most. The reception has been amazing, and more parents are coming out and sharing their stories. Parents are now empowered to fight for their children knowing they are not alone. That’s a bonus for me, something I didn’t have when Agape got his diagnosis. If you could share one piece of advice for parents raising a child with autism, what would it be? Don’t give up on your child; you are their best advocate and therapist. Your Child will fail many times, but don’t see failure when you see them, see their fighting spirit and cheer them on. Never let anyone disrespect your child because of their condition, they might not show you, but they feel those bad remarks and horrible looks. Autism is a scary diagnosis, but in all that there is a child and you must never let the challenges they experience cloud you from seeing that. Listen to your child; let them guide you in their world and if you don’t understand the journey ask for help, their therapists and doctors are there to guide you. You must learn to accept that not everyone will see your child the way you see them, and that’s OK. Your duty is to protect them from all the unkind comments. Trust me in the beginning you will want to educate everyone until you realize that some people you can’t teach and they will always see your child as an invalid person or “retard,” your duty is to make your child feel loved and supported always.